TODAY, THE LATEST Daft.ie quarterly rental report shows that rents in Ireland increased by 2.4% nationally in the final quarter of 2017. 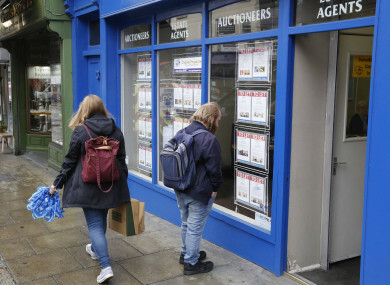 The figures have been particularly affected by the trends seen in Dublin – where the average rent is now €380 per month higher than what was seen at the peak of the Celtic Tiger years. The rental problems being seen across the country have been well-documented in the aftermath of the recession, with seemingly endlessly spiralling asking prices and a lack of supply putting people to the pin of their collar and exacerbating the homelessness crisis. But have you been materially affected by the rental crisis? And if so, how? We’re asking: Have you been affected by the rental crisis? Email “Poll: Have you been affected by the rental crisis?”. Feedback on “Poll: Have you been affected by the rental crisis?”.